I watch a line of pelicans slip sleekly through the sky. They always look so elegant when flying way up high. it seems a pack of bumbling clowns is waddling in their place. This poem was first published in Blast Off, Issue No. 2, The School Magazine, March 2018. I think pelicans are weird but that is just mainly my problem. Pelicans do look elegant when they fly in fact any bird looks elegant when they fly in the blue sky, don’t you think? What made you write this? I am guessing that you were at the beach and you saw some pelicans flying about in the Sky so you thought “Why don’t I write a poem about them?”. You are right, that’s why I wrote the poem. Thanks for your comment. I’m glad you like my poem. I took a long time to write it, even thought it is so short. You have teach bad sides of any good thing or wise versa. Lovely poem and sounds it is really true which we never realize. Pelicans sounds very funny. I love the description. cool poem. I think it sounds nice how you describe the pelicans. This poem is so very true! How did you come up with the idea? I really love this poem and totally agree with you! They look so elegant when flying, then bumbling clowns come in their place! I really love the description. Do you have any tips for when I am writing a poem? I’m not very good! My tip for writing poems is to write! You will get better with practise. So don’t be afraid to have a try! Very funny! 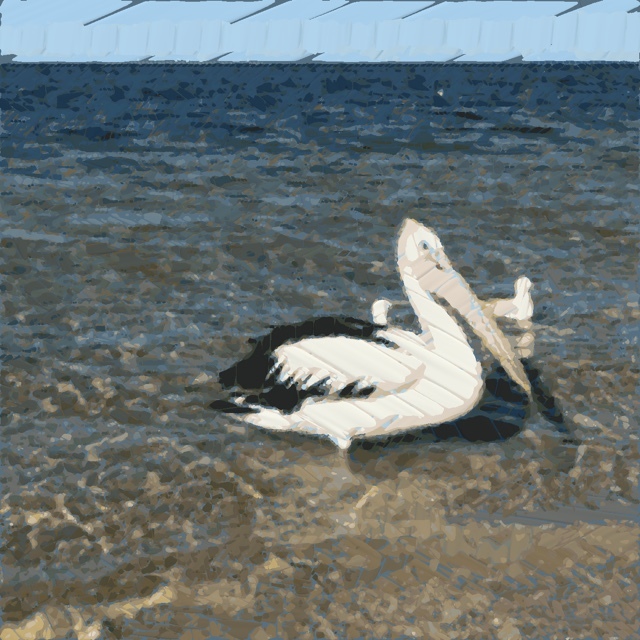 Pelicans are some interesting creatures. I don’t like them because they eat fish and I love fish. I love pelicans. I think they are beautiful but also comical. I like pelicans when they skim their wings across the water great poem. I agree, it is lovely to see pelican skim across the water. A pelican pooped on my dads car once it was huge. Have you seen pelicans at the beach or in a river? Pelicans like water. I do like pelicans. I think they are beautiful, though sometimes they look a bit comical. I like that line too. It took me a long time to think of it (this poem took me almost a year to write. Of course, I wasn’t working on it for that long, it was a year between when I started it and when I finished it. ).